Good things are to be expected when Nissan releases their new 2017 Nissan GT-R NISMO. This year power numbers will be up again and the car will be more comfortable than the previous year model which makes the NISMO GTR a really well rounded car. As will all NISMO vehicles, performance tuning happens in all aspects of the vehicle from suspension, engine, and outside all the way to the inside. All new aero adorns the GTR, and lightweight RAYS forged wheels round out the exterior changes. The suspension is beefed up all around for some track readiness. The interior gets a nice set of Recaro seats that provides ample support to keep the driver planted. Power is produced from a tuned 3.8L twin turbo V6 which pumps out 600 hp and 481 lb/ft of torque. All of that is delivered through a six-speed dual-clutch automatic sending power to all four wheels. 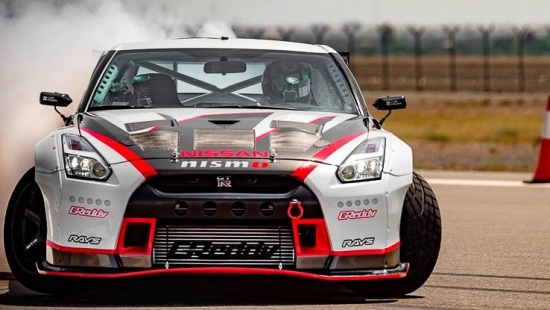 Japanese drift champion Masata Kawabata was recently tasked to pilot a 1,380hp Nismo GTR for a record breaking attempt for highest speed drift. The GTR is a collaboration between legendary tuners Nismo and GReddy Trust. The team’s sole purpose for this build was to create a monster GTR to break the current high speed drift record of 135mph. The car was tested in Japan on the Fuji Speedway, but shipped to United Arab Emirate’s Fujairah International Airport for the Guinness Book of World Record attempt. In true Nismo and GReddy fashion, why attempt at beating a record when you can go ahead and smash it to pieces then step on all the broken record remains. The GTR posted a 190mph drift with an entry angle of 30 degrees. This car not officially holds the record of highest speed drift and took the title away from Poland’s Jakub Przygoński. Nissan has unveiled the IDx Freeflow and IDx NISMO here in Detroit for the first time in North America. The vehicles were first unveiled at the 2013 Tokyo Motor Show. The IDx Freeflow has a casual/lifestyle focus, while the IDx NISMO is an ultra-sporty model of the future that looks as if it came directly from Gran Turismo 6. 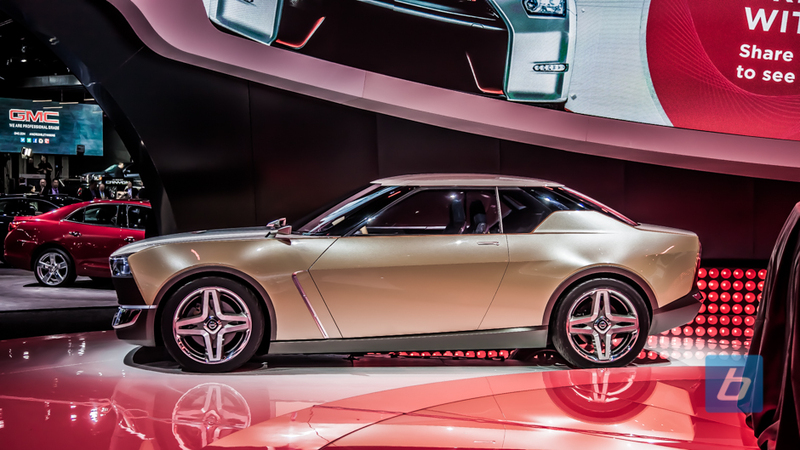 The IDx’s design is reminiscent of the legendary Datsun 510’s, but with futuristic design concepts. 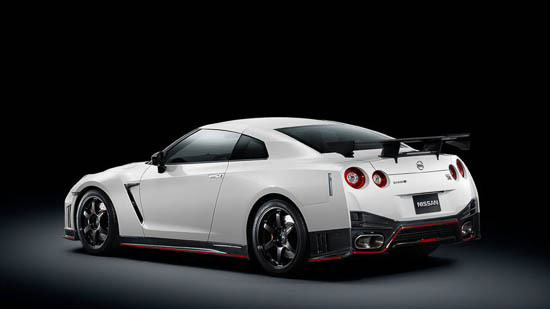 The NISMO version adopts design cues from the racecars of the 70’s, with it’s fenders adopting a faux riveted style. The aggressive front air dam and LED lighting will surely make you take notice as the car approaches you in the rearview mirror. The Freeflow is much more subtle, featuring round LED headlamps along with a more conservative bumper and grille. Retro styling is evident in the interior and exterior details, such as the rear view mirrors, steering wheel, and shifter. Both cars are loaded with carbon fiber inside, giving it a distinct and modern feel. It’s been 9 months since Nissan President and Chief Executive Officer Carlos Ghosn confirmed that NISMO was working on a GT-R and since then rumors have been leaking out of a 600+ horsepower godzilla that can lap the ring in under 7 minutes competing with the likes of the Porsche 918 Spyder but today images and information have leaked out about the upcoming NISMO GT-R. According to Car & Driver, the 2015 NISMO GT-R will pack 595 horsepower and over 480 lb-ft of torque gained from tweaking the intake and exhausts and slapping on a pair of larger turbos borrowed from the GT-R GT3 race car. With the added power, the car is also fitted with stiffer springs and larger anti-roll bars. Interestingly enough, Nissan has renamed the three settings for its electronically adjustable damper. 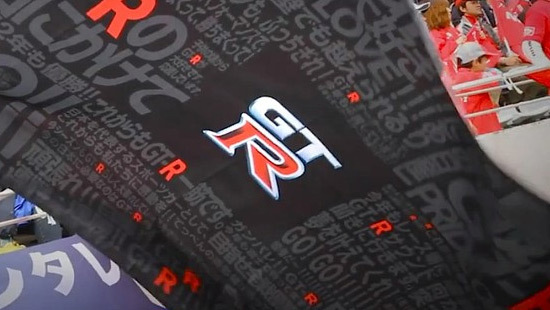 Instead of Comfort, Normal and R on the GT-R, the NISMO GT-R will feature Track, Race and Race Plus. It will be interesting how much stiffer the ride is compared to the regular GT-R.
On the aesthetics side, the NISMO GT-R will sport new front and rear bumpers and a pair of sideskirts with a red accent trim. A larger rear wing helps keep the car planted at speed, providing over 220 pounds of downforce at speed. 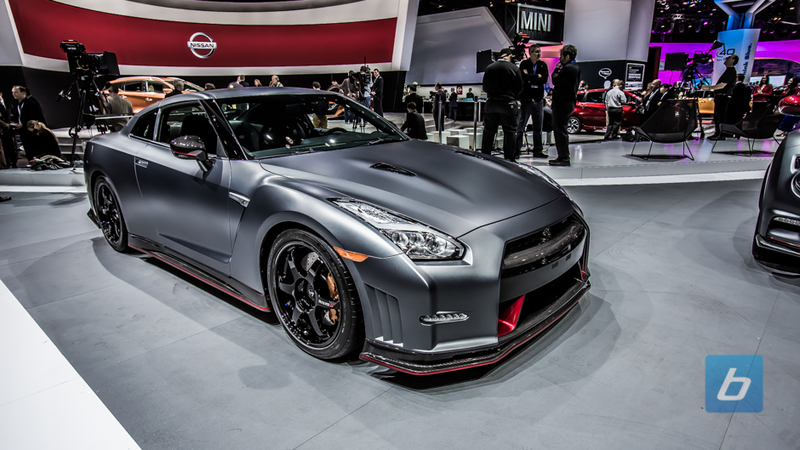 The NISMO GT-R will be available in February 2014 for Japan, and in early 2015 for North America. Pricing information is not available but I’m sure more information will be available once the vehicle is officially unveiled later this week at the Tokyo Motor Show. 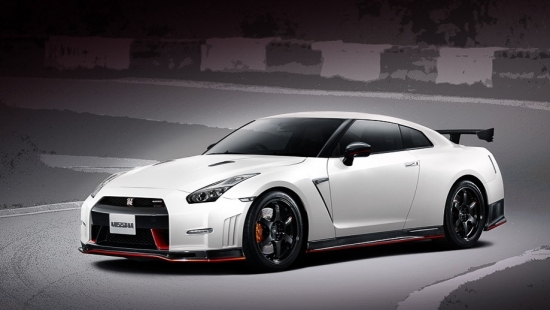 Nissan has announced that NISMO will be readying a new, higher performance version of the Nissan GT-R. The NISMO GT-R will be the third model to receive the NISMO badge after the Juke and 370Z that were revealed at the Chicago Auto Show earlier this year. The engineers at NISMO have already worked on the Nissan GT-R since its inception and were likely involved in the development of the Track Edition GT-R also announced in Chicago. While many people are eager to hear about the details of the NISMO GT-R, Neither Nissan nor NISMO are sharing any details at the moment. It will definitely be interesting to learn what the NISMO edition will entail and how much more, if any, power will be added. 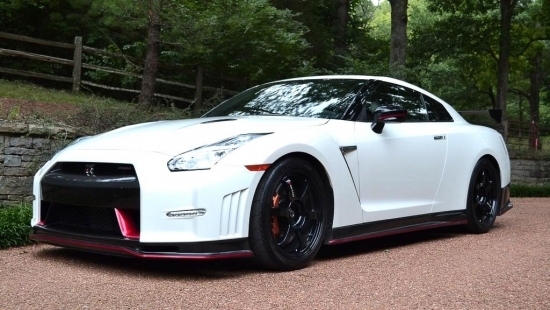 The current production version Nissan GT-R received a small power bump and numerous performance enhancements based on feedback from Nissan’s racing teams. 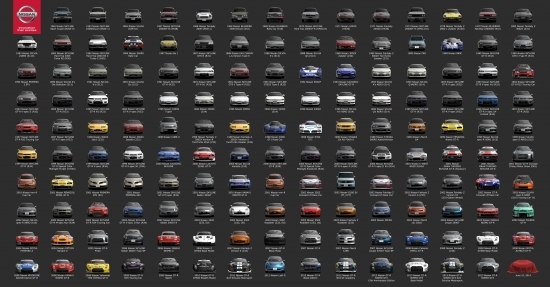 We’ll learn soon enough as development of the NISMO GT-R has already begun. It will be available next year but details will likely emerge later this year.